Over the past three years, I've touched on transcription in the form of company reviews and a list of transcription jobs. I've never really gone into a lot of detail about how to become a transcriptionist and what the job involves. This post is meant to be a basic overview of the general transcription industry — what you do, transcription equipment, transcription training, your transcription salary, and of course where to find work. As you may or may not know, transcription is basically listening to an audio file and typing out what you hear. It is usually much easier to get started doing general transcription than it is medical transcription because medical requires experience and/or transcription certification before most companies will hire you. When you do general transcription, you might be listening to personal conversations, business meetings, court hearings, college lectures, and any number of other audio files. Who is cut out for general transcription? If you are a decent typist with a good ear and you're pretty comfortable using your computer for things like downloading files, doing research, etc., then transcription may be a good option for you. It also helps if you are a pretty patient person. Sometimes the files are very hard to understand and it will take a lot of patience to get through the more difficult audio. Why is general transcription a recommended work from home option? While there are some companies that require you to do transcription on-site, there are MANY that will allow you to do it from home. In fact, most companies I come across that employ transcribers allow them to work from home. Also, transcription is flexible, non-phone work — something that as we all know everyone seems to want. Another reason I tend to steer people towards general transcription is the fact that there are a lot of companies that will consider beginners. This usually means that if you can pass their preliminary transcription test, you can get a job. The transcription salary is going to vary depending on the company. Many general transcribers average anywhere from $10 to $20 or even more hourly. With some of the lower paying companies that will hire just about anybody, you will probably be lucky to make minimum wage. I recommend the lower-paying companies for practice only and maybe a way to earn some extra money, but not really as a career option. Another thing to note is that when doing transcription you are often paid per audio hour. So for example you may see a company advertising a pay rate of $60 per audio hour, but this does not mean you will be making $60 an hour. It just means that you will make $60 for transcribing an hour of audio — and that could take you quite a while depending on how complicated the audio is to decipher and how experienced you are. When being paid per audio hour, most experienced transcribers consider anything below $45-50 an audio hour to be a very low rate of pay. There are also some companies that will pay per page, and a low rate per page rate is usually anything less than $1 per page. What is the vital equipment needed for general transcription? Obviously the most important thing here is a high-speed, reliable internet connection. You need to be able to send and receive audio files without any problems. You will also need to invest in a foot pedal. If you don't use a foot pedal, you will go MUCH slower because the foot pedal enables you to fast forward, stop, start, and rewind audio files with your feet. This frees up your hands so that all you really use them for is typing the file. Many transcribers additionally use the Express Scribe software — a free download that connects your foot pedal to your computer and controls audio playback and comes with other features like variable speed playback, multi-channel control, playing video, file management, and more. You will also need a headset so you can focus on the sound and block out other distractions around you. You can buy headsets and foot pedals at Amazon or check eBay if you're OK with buying used equipment. Prices can be very reasonable for good equipment. A tip: you may want to check the Express Scribe site for hardware recommendations if you are using their software. They have links for the specific pedals that work with both the free and paid versions of Express Scribe. Also, check out this list of recommended transcription equipment to see what most professional transcribers use to do their work. Transcription definitely sounds easy! After all, how hard could it be to listen to an audio file and type it out? Well, it's actually a lot harder and more involved than just that. First off, all audio files are not created equally. Some may be a breeze to type out while others will be more complicated. Sometimes you're listening to people talking over each other, heavy accents that you can't understand, and poor audio that isn't clear to make out. Obviously files like this will take longer and require a lot of listening to the same snippets over and over again. It can be stressful — especially for a beginner. Another thing to think about is the fact that these companies you work for have style guides in place. You need to know these style guides backwards and forwards so you can be sure you're formatting everything correctly. Over time, it will get easier and you'll get better and better. But at first it can be really intimidating and (like me) you may decide transcription just isn't for you. But if you're determined to stick out, you'll likely find it's something you can master with enough practice. Where can you get practice? StenoSpeed also has some sound files you can download to practice transcribing. Pick up a few transcription HITs on Amazon Mechanical Turk. This is a good way to practice transcribing short files while also getting paid for it. I have a full Amazon Mechanical Turk review posted if you want more info on how that site works. Companies like Scribie, Quicktate, Transcribe Me, and Rev don't pay well at all for transcription, but it's not difficult to get accepted and you can use them for extra money + practice so you'll have more confidence and experience when testing for the higher paying companies. Who hires for work from home transcription? My directory has a big listing of transcription jobs with the ones that will consider beginners sectioned off at the top. That is a decent place to start. If you are a complete beginner, any of the companies I listed above in the “where to get practice” section would be options to get accepted for work quickly. If you are serious about learning how to become a transcriptionist, the first resource I want to recommend is my friend Lisa's e-book. Lisa is also the blogger behind Work at Home Mom Revolution (a great place to check for home job leads! ), and she has been doing general transcription for many years. I actually downloaded and read through Lisa's e-book today to do some fact-checking on general transcription since my personal experience is pretty limited, and I can confirm that it's worth far more than the $2.99 it costs if you are serious about becoming a general transcriber. Lisa goes into LOTS of detail — far more than I have mentioned here — and pretty much answers every single question you might have about general transcription, how the process of transcription actually works, fair pay rates, getting your resume ready, places to get started, taxes, and all kinds of other things. If you're looking for transcription training, you should know that you don't actually need formal training to become a general transcriber. That said, knowing what you're doing could certainly get you higher-paying jobs. Below are my recommendations for getting the training you need for all types of transcription. Transcribe Anywhere – This company offers very in-depth general and legal transcription courses that takes you much further into learning how to do it than just about anything else you'll find. Plus, the self-paced intro courses last for 7 days and are free of charge. CareerStep – This is the go-to training for people aspiring to become medical transcribers (they have courses on things like medical billing and coding as well). Many of my readers who have gone through this training have great things to say about it. CareerStep offers payment plans and discounts for military spouses. So that wraps this post up! I hope this overview is helpful to anyone with an interest in doing general transcription from home. Please feel free to chime in below with your own resources, tips, questions, or corrections. Do Lisa ‘s book contain information on the style Guide/ or grammar for General transcriptionist or is it just about finding work in the transcription field? If I recall, it covers pretty much everything, although I don’t think it goes into specifics on the grammar and style guide because this will vary with each company. They all have their own preferences. Thank you for all of the information! I’ve just started learning about general transcribing and it seems like it might be a good fit for me. I am still doing a lot of research about these jobs. All the ones I’ve found seem to be freelance positions. Do any companies employ salaried or hourly employees? Unfortunately I’m not aware of any that hire workers as employees. It’s pretty much always independent contractor work. If anyone knows of transcription companies that pay hourly or hire you as an employee, please let us know. Excellent post. I have been doing general transcription online for a couple of years. One of my contracts is Rev.com. The pay is not the greatest (on average $0.40 – $0.65 per audio minute. However, I really like working for them. They pay like clockwork once a week, which is awesome. It is nice getting to preview audio files before accepting the job assignment as well. Their online community through the forums are very friendly, helpful and active, which is great. I actually just wrote a post on legitimate ways to make money online and have included information on how to make money with general transcription. I have included a link to the page on your site with the extensive list of transcription companies that are hiring. The link to your site is towards the end of the page (it is a very long article) I actually found your list very helpful when I was looking for transcription work a couple of years ago. 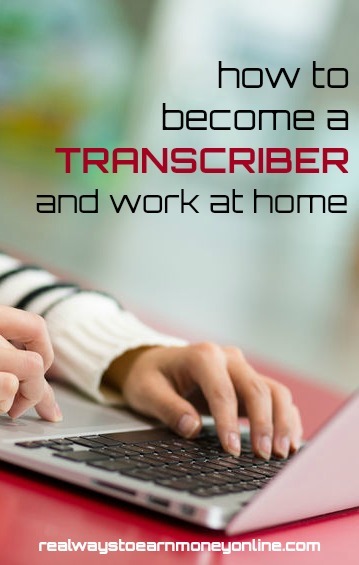 I am sure some of my readers will find it very helpful as well in their search for transcription jobs, particularly general transcription jobs. Look forward to exploring more of your site. Are you interested in medical transcription specifically? If so, a lot of people enroll at CareerStep to get the training for that. General doesn’t really require any training. Many people do the transcription tasks on sites like mTurk (not really a job, just a side-earning thing) to kind of get a feel for transcription and how it works. Then, once you feel a little more comfortable in your skills, apply to one of the actual companies. Thank you for the info on all the different companies. I currently do transcription for an investment company and a focus group survey company. The jobs I get are between 10 minutes to 10 2 hour groups, so the work goes very much back and forth. And when it rains, it pours!…or I have no work for months. I have the foot pedal, and use express scribe. My first question…I have two toddlers, so this work can be impossible when its a rush job…I get it done, but that means working during nap time and bedtime and with headphones. Do the online companies expect the work tomorrow? And my second question…what are your opinions on medical transcribing? I know its a whole new language; I have the skills, but possibly that’s something I should wait until one of the kids is in kindergarten? Thank you again! It will just vary from company to company and project to project. There are some that will have a day turnaround time and others that may give you longer. As far as medical transcription is concerned, it’s definitely a lot harder to get a position doing that unless you’ve been trained or have done it before. But if you have the skills, there are lots of companies hiring for it regularly. MT Stars is a good place to look for leads. I’m not sure if it would be something you should wait to do or if it would be OK to start now. My guess is that, just like the other jobs, it will depend on the company. If you apply to do it and get an interview, you will probably have a good idea then of how demanding the work will be. This is some great information! I’m curious about a few things. I’m looking to do something like this full-time. I know the money I make will depend on how many jobs I take and the quality of my work. But can anyone give me a rough number for what I could make, say weekly? I’m not set up for audio transcribing yet, but plan to be after I practice and buy the equipment. Can I make any money, at first, just using Mturk or other freelance sites? Or would it just be better to dive in and invest in the equipment you suggest? My husband is a bit skeptical that I can make decent money doing something like this. Typical man! However, I’d like to take a few jobs first to show him some examples and what it pays. I wish I could give you a number on how much you could make weekly, but it’s hard to say. If you’re planning to start with sites like mTurk, Quicktate, etc. then I don’t think it will be anything near an actual income, but it’s still not a bad idea to start with those kinds of sites because it’s still paid practice. What I usually suggest people do is get practiced up for a while using the lower-paying sites to get the hang of it and make the decision whether transcription is something they really want to pursue because some actually decide after trying it that they don’t like it. Then after you have gotten in some good practice and feel confident in your skills, apply to some of the higher paying companies that would prefer to take people with experience. These are the companies that are going to pay the best in most cases. I also highly recommend that eBook I linked in the post — well worth the $2.99 if you’re serious about transcription. It explains things in a lot more detail than I ever could! For me it has been about a year of doing general transcription. There is a lot of work and it is fairly easy to get started with the lower-level companies. Sometimes companies will be quick to let you go, though, if they feel you aren’t catching on to their system quickly enough. It happened to me but I got hired by another company soon after that and it has worked out well. SpeechInk on Amazon Mechanical Turk is a good company to pick up quick assignments and quick pay with, even if the pay is a little low. I hope to double my income this year and then again the year after that. Transcribing requires talent with language and punctuation too so anyone with lots of writing experience should do well. It absolutely requires a good ear as a couple of posters have said. Along with high speed internet, a foot pedal and software it also helps to have MS Office. Strangely, most companies use doc format for files so if you have an older version such as 2003, that’s perfect. You can go through Amazon Mturk and do transcription tasks for CastingWords, Claritrans, and Redwood and get paid direct deposit to your bank. If you do it that way, you can work as a beginner and you only need $1 earned to get the money to your bank account. No, I don’t work for Quicktate. But, I have had an account with Transcribe Me since December 2012. But, the last time I logged into my Transcribe Me account, my earnings seemed to have disappeared. Other people said the same thing happened to them. I just heard the website changed systems around as to why this happened to a lot of people. Yeah, I think I had about .30 cents and I logged back in a few weeks ago (first time I had done so in months!) and it wasn’t there anymore. Over one-and-one-half years transcribing for one company later, I can say without fear of contradiction that, being a good typist notwithstanding, there is one quality that you absolutely *must* have, or you are doomed to failure in this line of work. While you may have remarkable hearing, I have learned that “understanding” is a gift that some people have, and some people simply do not. It’s not just a matter of understanding what people say, on the whole. More important, transcribers are faced with not only foreign accents and dialects, but are also faced with mumblers, speed talkers, American dialects, stammerers and all manner of problematic speakers. The very worst challenge, however, and the most frequent, is figuring out who said what to whom when people interrupt and talk over each other. If you can type, and if you have the “gift,” you can do extraordinarily well as a transcriber. I know any number of people who make a full-time, very decent living as transcribers. Thanks for the post Anna. General transcription has it’s ups and downs. Last month, I posted on your Facebook page about how I was fired from a company known as Get Transcribed for botching a few assignments. I apologized to my former boss Matt Ryczko from the company and explained to him my disability, but he never paid me for the work I did do. Now, I feel like I’d be taking back my apology if I report this company to the BBB for non-payment. 🙁 This is the last time I’m working for a small business. But, I still have good luck with Scribie even though the pay is less. What do you think I should do as far as GT is concerned? If you really enjoy general transcription, I would just keep plugging away and get some more experience under my belt. Try applying with some other companies that pay more. Anything can be tough in the beginning, but the more you do it, the easier it will become. Do you work for Quicktate or Transcribe Me? Those are two others that are good for practice. Thank you for your kind words about my ebook, Anna! I really appreciate it! Excellent post Anna. You can also find transcription jobs on sites like Elance and Odesk – I currently have a few general transcription clients through those companies.